Maya architecture typically enclosed an outdoor patio or courtyard. These so known as "plazuela groups" created the fundamental living unit or household. Within site centers most of the large and important temple pyramids were situated around the east side from the courtyard. Lengthy, range type structures or palaces flanked these temples and offered as homes for that ruling elite as well as for administrative reasons. A number of these structures were roofed by utilisation of the corbelled arch. This arch comprised of two sloping walls that incorporated before the space together might be spanned with a single slab of stone. Because massive weight previously mentioned is needed to carry the arch together, the rooms within vaulted structures rarely could exceed 10 to 12 ft in breath, but there is no limit for their length. Outdoors the website core, people of high status copied the architecture from the core but on the much more compact scale. In comparison, common folk built low platforms which they erected thatched wattle and daub structures that offered as both homes and shrines. 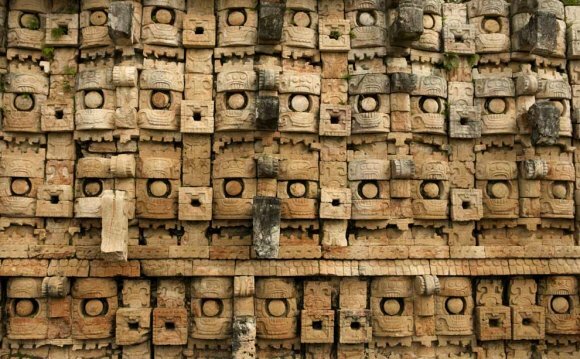 Beside palaces, temples and homes, the Maya also built astronomical observatories, causeways (sacbeob), tanks, bridges, ballcourts, sweat baths, chultunes, and dams. The favourite observatory is really a structure referred to as "Caracol" situated to begin of Chichen Itza. In Belize, remains of Maya bridges have been discovered at Pusilha and Baking Pot, along with a large dam can be found in a small site close to the Raspaculo Branch from the Macal River. Maya art is frequently split into two sorts: monumental and portable. Monumental art was mainly created on stone or from lime plaster which was stuccoed unto structures. The previous includes created stelae and altars, three-dimensional sculpture like the zoomorphic (animal) figures discovered at Quirigua and Copan, and colored wall art such as the ones discovered by Thomas Gann at Santa Rita, Corozal, or that located on the interior structure walls at Bonampak. Art created from lime plaster generally includes masks which flanked the staircases of temples (e.g. at Lamanai) or stucco friezes (symbols/designs) like individuals from Xunantunich. Portable art is much more common at Maya sites and it was created using diverse mediums for example bone, wood, spend, stone, ceramic, along with other perishable materials. Ceramic collectible figurines were particularly common throughout the center Preclassic and Terminal Classic periods. Wooden objects were also unquestionably popular throughout Maya prehistory but as they do not preserve well, couple of objects produced from these components have been located.